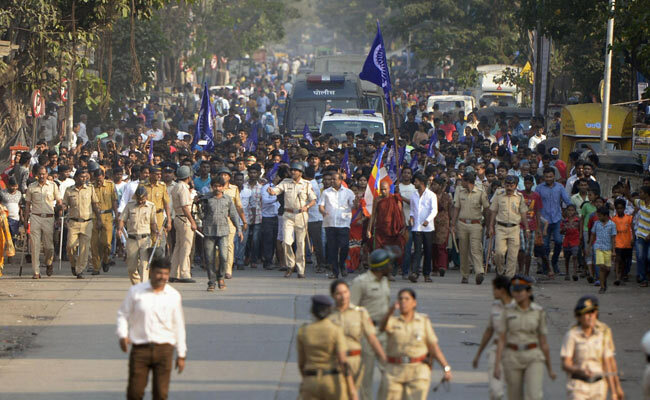 The event to mark 200th anniversary of the Bhima Koregaon battle in Pune district, in which forces of the East India Company defeated Peshwa's army, was marred by incidents of violence on 1st January 2018, with at least one person getting killed. Dalits commemorate the British victory, as it is believed that soldiers from the Mahar community then considered untouchable were part of the East India Company's forces. Since Peshwas were upper caste Brahmins this victory was considered by Dalits as lower caste’s victory over upper caste. 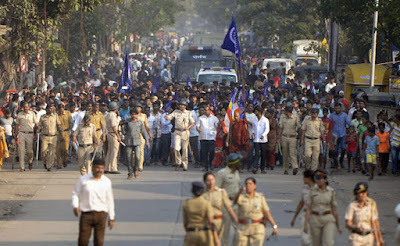 However, some right-wing groups in Pune had expressed opposition to celebration of the `British' victory, this opposition soon turned violent with stone pelting by upper caste Maratha community probably supported by some Hindutva forces (as two Hindutva associated people arrested by police) heightened the violence to an extend that affected the most parts of Maharashtra including capital city Mumbai where section 144 imposed in many places. The event is not new and celebrated by Dalits since Dr Bhim Rao Ambedkar in 1927 first visited the victory pillar erected by Britishers for one the greatest victory of East India Company in that region. The question is why the upper caste Hindutva forces objected it now and in a way which spread state wise protests & bandhs. Upper caste violence erupted earlier by Jats in Haryana, Patidars in Gujarat and now Marathas in Maharashtra. These violent protests started when voices against reservation for Dalits in jobs & education started coming from ruling party and their parent body Rashtriya Swamsewak Sangh (RSS). You can observe a pattern or propaganda in all these agitations as to instigate upper caste in particular area against the lower caste by making reservation the reason for unemployment and other problems of upper caste. When in reality government has failed in his duty to ensure 'Sabka Saath, Sabka Vikas.' Government's inefficiency was not discussed when such incidents happen which become another plus point for the ruling regime. Violent clash started from Bhim Koregaon village soon spread to the state as Dalit community demanded justice for the agitation against them. This resulted in calls of shut down of Maharashtra in the form of ‘Maharshtra Bandh’ in which protesters stopped trains & buses in many parts. Although police is ensuring smooth run in the city government’s role in not controlling the upper caste forces when the things started is under question. I know how common life is affected in such agitations as I have experienced crack down of Delhi during Jat agitation. So I hope and appeal the protesters to remain calm and don’t damage public property. Also expect government for non-bias action against the hooligans. One aspect of fascism is erasure of history.